Science North, Sudbury. 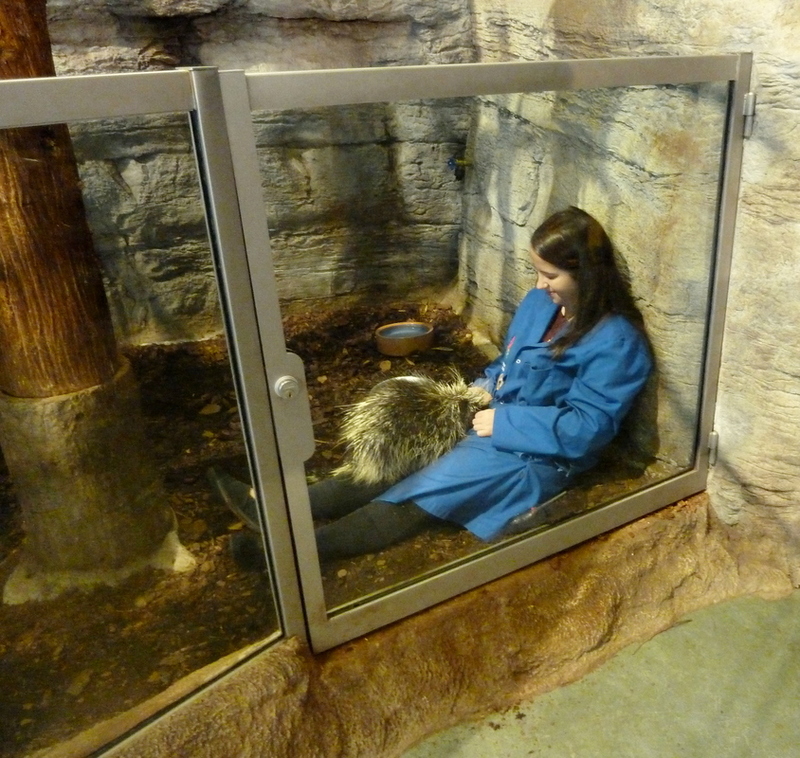 "Quillan the porcupine arrived at Science North in May 2002 as an orphan who was only a few days old. Bluecoats bottle fed him and took care of him 24 hours a day for several weeks. He is a strict vegetarian who loves to eat corn and forage for leaves, blossoms and berries during his summer walks on Science North grounds." He's now fifteen years old, and clearly quite lonely: when this employee/"Bluecoat" tried to leave (moving very slowly indeed) he started to whine.